Do you have a love for painting? Have you never touched a paintbrush in your life? Either way, join us at DHA Rehoboth for PAINT NIGHT on September 25th at 5:00PM! We will be “getting our paws dirty” and celebrating our love for DHA’s furry friends! No painting experience is required! 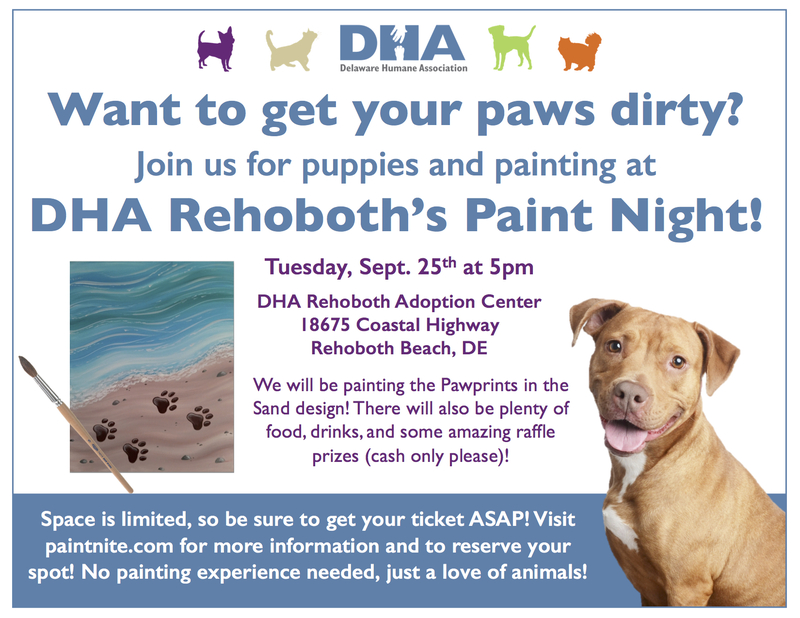 Participants will be guided by artist Karren Ryan, and painting the “pawprints in the sand design” (perfect for any Rehoboth Beach animal lovers)! Along with getting to practice their fine art skills, the night will include plenty of snacks, drinks, and a raffle for all of our painters!